The Leadership Conference on Civil and Human Rights and 155 civil and human rights groups today called upon the Executive Branch to respond more quickly and forcefully to hate-based incidents, which have been occurring at an alarming rate in recent months. 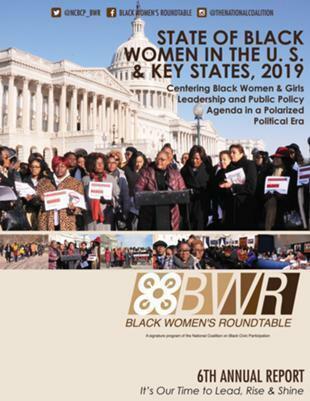 As the nation still reels from the 2016 Presidential Election, data analysis and field reports were presented by National Coalition on Black Civic Participation (NCBCP) state affiliates and Black Women’s Roundtable Networks (BWR) at its BWR 2016 Post-Election Briefing on Wednesday, November 16, 2016. 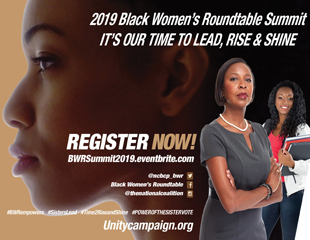 The speakers shared their analysis and field experiences that Black women turned out in large numbers and remained steadfast as a key voting bloc for candidates that supported the interests of Black women, their families and communities on a national, state and local level. Civil rights, women’s rights and social justice organizations are organizing an aggressive four week long voter protection and get-out-the-vote mobilization. Polls opened in Georgia on Monday, October 17th and Black women leaders from across the state of Georgia have joined together to organize the first stop of the Black Women’s Roundtable (BWR) National Power of the Sister Vote ‘STATE OF EMERGENCY’ Voter Crusade.” The Black Women’s Roundtable is the women and girls empowerment arm of the National Coalition on Black Civic Participation. Black women leaders, led by the Black Women’s Roundtable (BWR) and the Unity’16 Campaign of the National Coalition on Black Civic Participation (NCBCP), have joined forces to organize a month-long intense multi-faceted GOTV and multi-media campaign to ensure millions of Black women and millennial voters turn out for the November 8th The Black Women’s Roundtable announced its “STATE OF EMERGENCY” Power of the Sister Vote Voter Crusade (BWR Voter Crusade), in partnership with its national and state-based partners, that also unveiled plans to work together to combat voter suppression, a key concern in minority communities across the country. The Black Youth Vote! Network has launched its 2016 HBCU/Community “Vote Your Power” Challenge (BYV! ’16 Challenge) across the country. The BYV! ’16 Challenge is a key component of The National Coalition on Black Civic Participation’s (NCBCP) Unity ’16 Black Voter Empowerment Campaign. (www.unitycampaign.org). “The BYV! ’16 Challenge is an organizing strategy developed by and for Black millennial leaders and activists to engage young people in getting their friends educated, motivated and energized to register to vote, verify their registration, vote in the 2016 election; and encourage their peers to vote as well,” said Deven Anderson, Unity ’16 Campaign Senior Advisor and BYV! Lead Organizer, NCBCP. “These elections are critical and we found through our interactions & research, that millennials tend to respond better to other young people,” Anderson added. The killing of unarmed black people must end! The National Coalition on Black Civic Engagement joins the Civil Rights and Social Justice communities calling for justice in the police killing of Terence Cruther who was unarmed. We lift up the Cruther Family in the heartbreaking loss of their loved one and vow to stand in solidarity in their call for justice. The National Coalition, founded in 1976, creates and enlightens communities by building institutional capacity that provides and develops leadership. By educating, motivating, organizing, and mobilizing Black communities, the National Coalition seeks to encourage full participation in a barrier-free democratic process. The National Coalition works to expand, strengthen, and empower communities to make voting and civic participation a cultural responsibility and tradition. The second annual Black Women’s Roundtable/ESSENCE #PoweroftheSisterVote (POSV) Poll of Black women voters indicates they are increasingly concerned about the impact the results the 2016 Presidential Election will have on criminal justice reform. The “Power of the Sister Vote II” Poll, conducted in August 2016 included responses from 1,257 women voters ages 18 and over. It focused on what they want from the next President and is a follow-up to the 2015 POSV Poll taken by ESSENCE/BWR. The 2016 Presidential Election and leveraging the power of the sister vote in 2017 and beyond will be among the topics discussed at the 8th Annual BWR Policy Forum with several of the nation’s most prominent Black women influencers representing civil rights, faith, social justice, entertainment, corporate, labor, political, health, education and youth. The two-part forum will be hosted on Wednesday, September 14 during the Congressional Black Caucus Foundation’s Annual Legislative Weekend in Washington, D.C. The National Coalition on Black Civic Participation (NCBCP) is thrilled to embark on a new community engagement partnership with Airbnb to commemorate the 51st anniversary of the Voting Rights Act that was signed into law by President Lyndon Baines Johnson on August 6th, 1965 following Bloody Sunday in Selma, Alabama. We believe Airbnb is in a unique position to serve as a good corporate citizen by sharing this historic moment to a new generation the importance of voting to bring about positive social change in our nation. NCBCP is launching our Unity '16 Online Voter Registration Drive and Black Youth Vote HBCU Community #Vote4Justice Challenge in partnership with Airbnb to encourage Millennials of color to register to vote, verify their registration status, volunteer to be poll workers and poll monitors; and vote in the Presidential Election on November 8, 2016. Currently reading page 2 of 15.